Small royal blue and red stars on white background with white fleece and stitching. A best seller, add one to your basket! 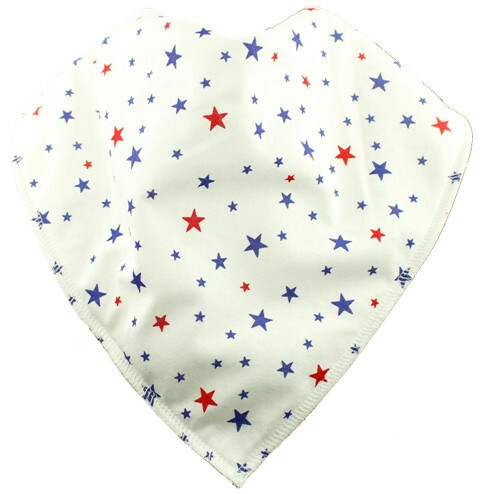 Bibble Plus+ Bandana Bibs are a functional, stylish solution for older children, teenagers and adults who have difficulties with drooling and dribbling. Fastens with two adjustable poppers. Machine washable. Soft fleece backing and cotton top fabric create a 'tunnel' effect to stop wetness going through to the wearers clothing, keeping them dry.